The Rangers will travel to La Grande on Wednesday for their first round playoff game. SCAPPOOSE — Senior leadership has proved to be crucial for Estacada this season and Friday's play-in game with Scappoose was no different. 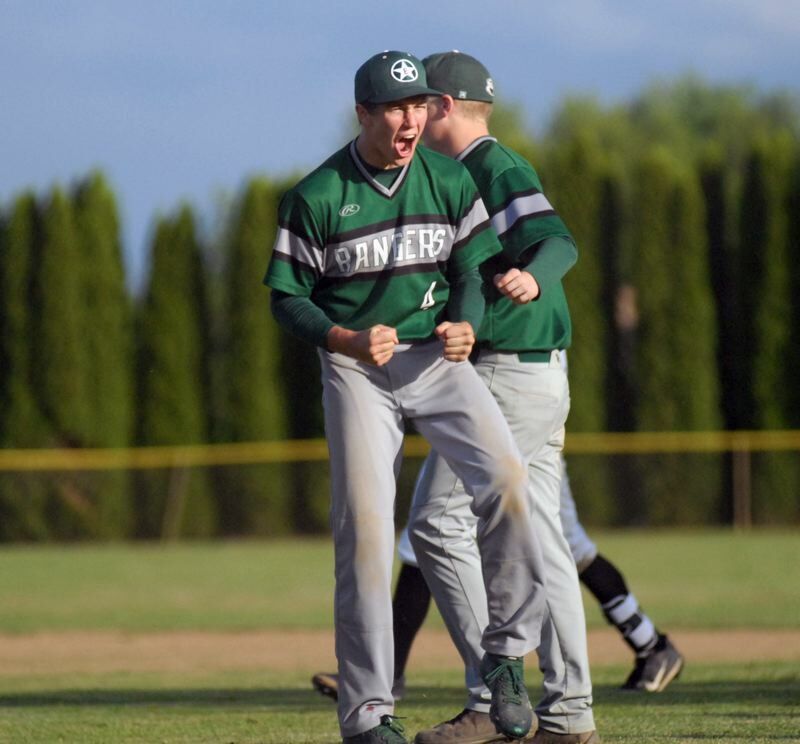 Brandon Thornhill was 2-for-4 with two RBI — including the go-ahead RBI in the top of the fifth — and Wyatt Riedel threw a complete-game on the hill as Estacada defeated Scappoose 5-4 to advance to the state playoffs. Estacada was able to manufacture a run in the first and second innings to take the early 2-0 lead. Kayden Settle led off the game with a single to right field. He got to second on a groundout and then stole third base moments later. Jared Weaver then came through with a RBI-infield single to get the Rangers on the board. Mateo Burgos started the threat for Estacada in the top of the second with a one-out single to right field, then proceeded to steal second and third base to get himself 90 feet away from putting another run on the board. After a walk by Dan Hunt, Scappoose starting pitcher Logan Travis looked like he was going to get out of trouble when Thornhill hit a hard ground ball to short on what could have been a tailor-made 6-4-3 double play. But Scappoose second baseman Jordan Buchanan dropped the throw from shortstop J.C. Gross while trying to make a quick transition. Burgos scored on the error and Estacada took a 2-0 lead. However, the Indians responded at the plate with resilience in the bottom half of the frame. Scappoose started their rally when Quincey Cleveland hit a two-out single up the middle. Terrence Lewis followed that up by reaching across the dish and driving a Riedel outside fastball well out of the park for a two-run homer. But the Indians weren't done yet. After Ben Anicker drew a free pass, Jerad Toman reached on an error by Burgos at shortstop to extend the inning. Gross would make the Rangers pay for the miscue with a two-run single to left field, putting Scappoose up 4-2. Look for extended coverage in the May 24 print edition.